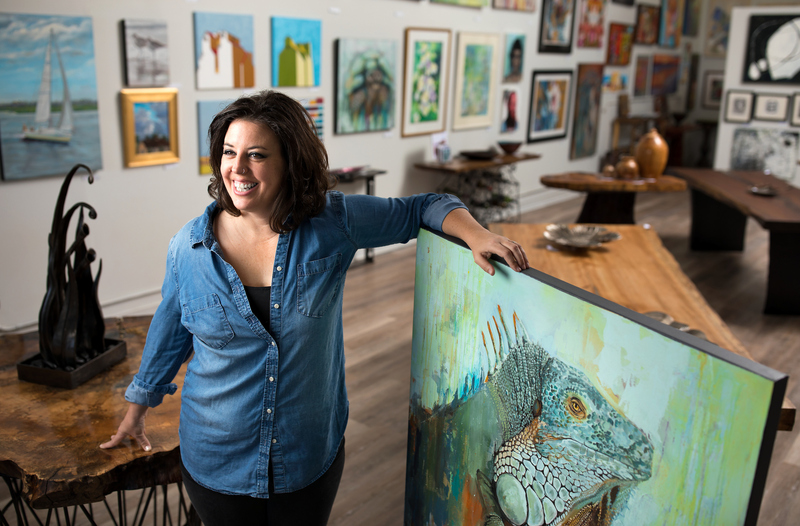 Every day, when Hilary Clement drove from her Glenwood home to her downtown studio, she passed the shabby corner store on South Elm and Washington Street. That spot, she thought, really has something. Many buckets of paint and some new floors later, the Hilary J. Clement and Friends Pop-Up Art Gallery opened. It’s a showcase for more than 30 artists with local ties – including Hilary. The West Virginia native is a self-taught painter with a penchant for animal portraits and country landscapes. It’s a love that took her a long while to discover. First, she studied biology and got a job testing DNA at LabCorp. A craft project for a church fair – a poster board face cut out of David and Goliath — set her to painting. “My husband said, ‘You know, you are pretty good at that. Why don’t you start painting?” Hilary said. 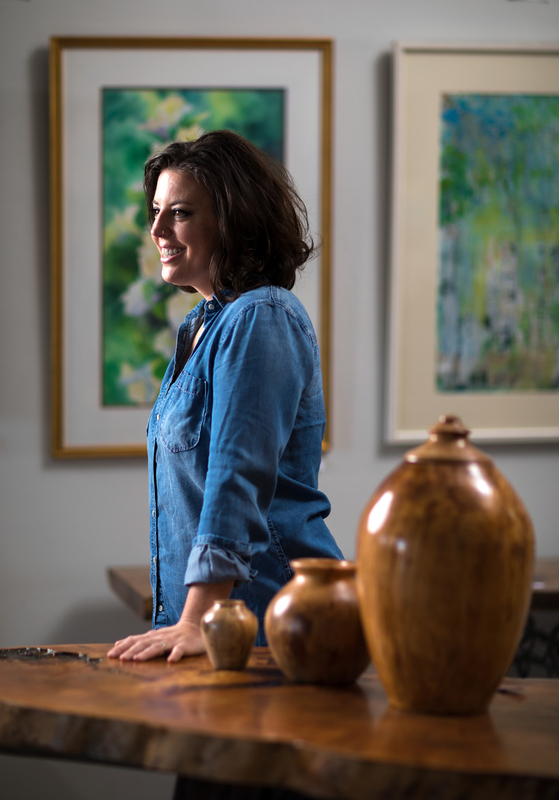 Earlier this year, she left her corporate gig to paint full time and sell her wares. The pop-up shop was the next step. So many local artists wanted to be a part of it, Hilary was overwhelmed. Paintings stretch all the way to the towering ceilings of the 300 S. Elm Street storefront. Mixed media works. Pottery pieces. There are stunning portraits by Sam Wade. Artist Sandy Dunaway’s live edge wood tables fill the room. And Hilary’s colorful animals are tucked here and there as well. Hilary has a short-term lease on the space, so the pop-up shop is expected to close by the end of December. But she’s also exploring options for staying longer and adding studio space.